For many aspiring pianists this is one of the biggest questions to answer; how can I choose the best home digital piano for my needs? Is there one clear-cut answer to the question? Absolutely not! That being said, by taking into account a number of essential factors it is more than possible to make a great choice. 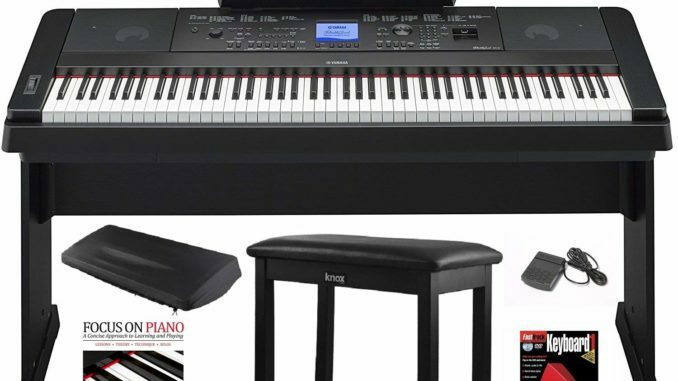 So whether you are just starting out on your journey to musical magic or you are already well along the piano path, allow us to provide you with a clear and concise guide to choosing the best home digital piano for your needs. Would you love to be the proud owner of a stunning digital grand piano? Truth being said, who of us wouldn’t love it? However, there are very few among us who actually have the right home space for such an instrument. Grand pianos and even baby grand pianos take up a significant amount of room, on top of that they just do not look right crammed into a space that has little room for anything else. Remember, a grand piano is about being exactly that ‘grand’, if your home does not have a large grand room, you are likely going to make a poor decision if you bring home a digital grand piano! So now you know you need to opt for an upright digital piano, however, should you only consider the standard 88 key models? That all depends on where you are at on your musical jounrey. If you have already been playing for some time, you already know that an 88 key is your only option. However, if you are just about to embark on your journey and you are struggling to find space in your home for a standard size piano you may wish to consider a digital choice that comes with 61 keys. Do keep on mind though, that if things go well and you continue to learn and progress, you will need to upgrade your digital piano to an 88 key model at some point. The price of digital pianos varies rather significantly. You can start at a few hundred dollars and go right up to the thousands and then some! 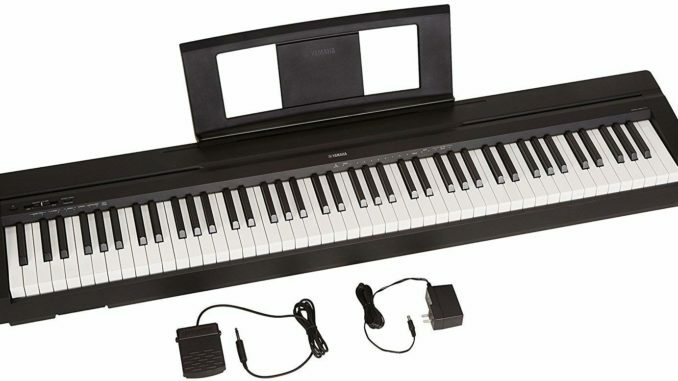 Much of the idea of choosing the best home digital piano for your needs is about knowing your budget and sticking to it. A digital piano which has set you back a lot more than you anticipated and planned for is not going to produce as sweet a tune as one that remained in the budget! If you are just a beginner you certainly do not need to pay through the roof for your first digital piano, unless you have money to burn that is. This is especially true if you have decided to ‘give it a go’ to see if you take to it. It is much better to buy a reasonable, yet not an elaborate instrument in the early days to decide whether this really is the instrument for you. If you become sure that you are about to become a budding pianist you will also be in a better position to know what other features are important to you in a digital home piano. Are you one of those people who hate technology? Are you still being dragged along in our technical and digital age? If you are, you may not need to give to much concern towards how technology-compatible your digital piano is. However, if you love the idea or hooking up your piano, recording your compositions and the list goes on, you need to ensure that the piano you choose will allow you to cash in on all of these features. In fact, this is where digital pianos can vary rather significantly. Some models are all about producing a beautiful piano sound and don’t care too much for all of the other bells and whistles. Such models tend to take on a closer appearance to a traditional piano and are often viewed as appealing pieces of furniture in the home. On the other hand, there are digital pianos which are designed to be as versatile and flexible as possible. They may offer a large array of tones to choose from, endless technology possibilities and a wealth of features that will keep you discovering new things about your instrument all the time. For most of us, we very quickly fall into either one category or the other. Either we are excited at the idea of having a digital piano that offers every bell and whistle going or the thought fills us with sheer dread. 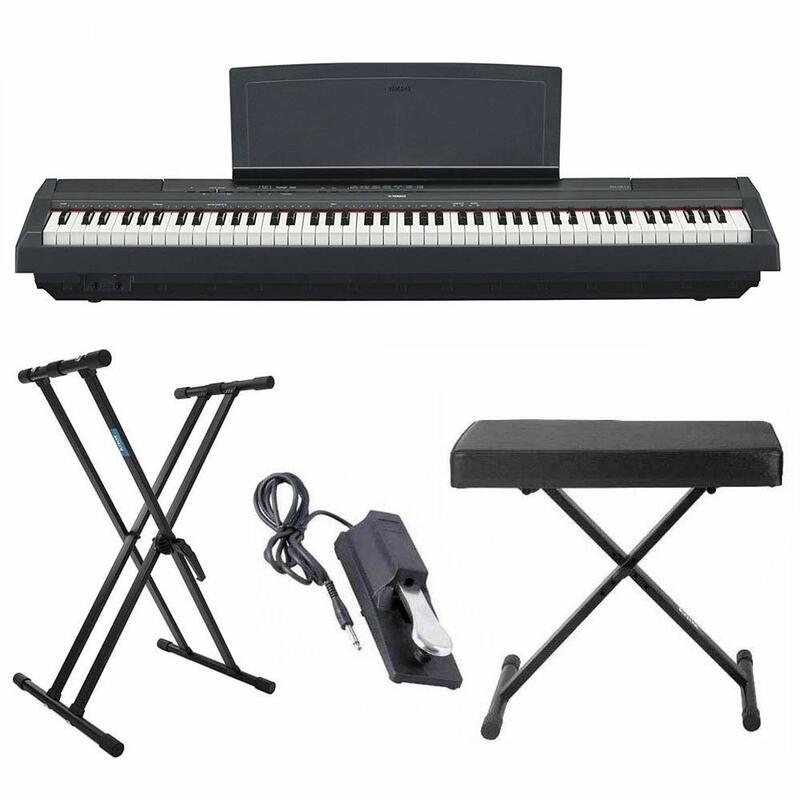 Only you know which category you fall into so make sure you stick to this when you are looking for the best home digital piano for your own musical needs. Let’ take a closer look at each of these key types to help you decide which one would be a good choice for you. Keys that are weighted or semi-weighted tend to be a great all-around choice. These keys are designed in a way that when you touch them they have the feel of a strung piano, in other words, a piano you don’t plug in! Such choices are great for pianists who have been used to playing on such a piano and are now moving into the digital age. In fact, I was one of those people! After spending years playing a traditional piano I knew it was time to step over to the digital side, but I was doing so dragging my heels behind. 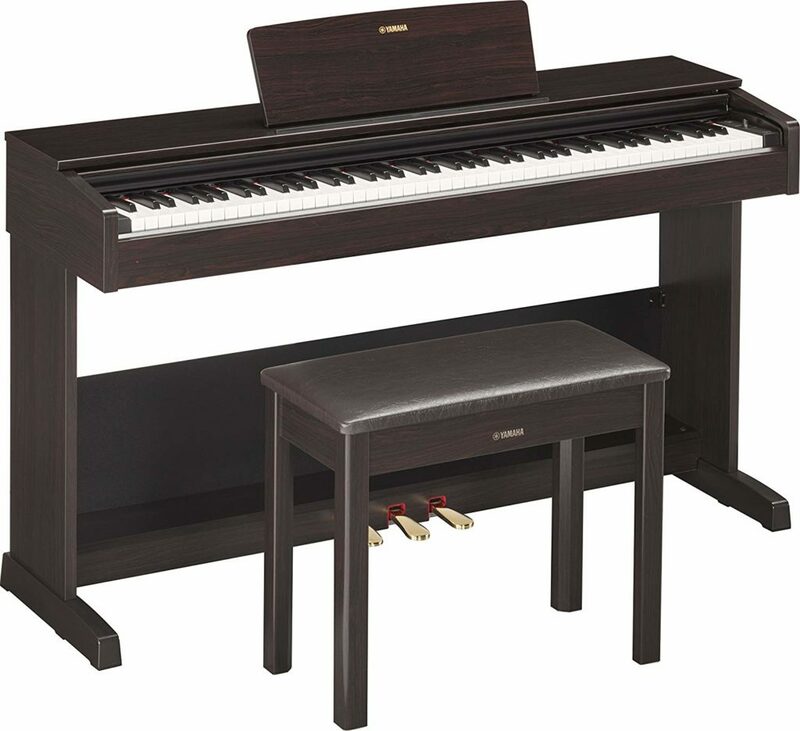 Choosing a piano with weighted-keys helped the transition to feel much more smooth and natural. In fact, it did not take me long to start to appreciate the many benefits that come with digital pianos over their traditional counterparts. Like the way you can stick the headphones on if you have the notion to play in the middle of the night, or the fact that you never need to pay someone to come and tune your instrument. Then there is the fact that is it much easier to transport a digital piano and the list goes on and on. So we know that weighted and semi-weighted keys are a great all-arounder but what about hammer action keys and synth keys? Well, we could say that the hammer action takes things a step further. Mechanical hammers are used to create an even more sensitive and realistic response which some players will likely greatly appreciate. The synth keys give no resistance when playing. While this is not ideal for everyone it can be great for experienced pianists who play in a group. How can you know which of these key types are right for you? One of the best ways is to play a piano which offers each type. Take yourself down to your local musical instrument store and ask to have a go on each type of digital piano. Don’t worry, you don’t need to buy from the store, all you are doing is having a little test to see which feels best under the fingertips. 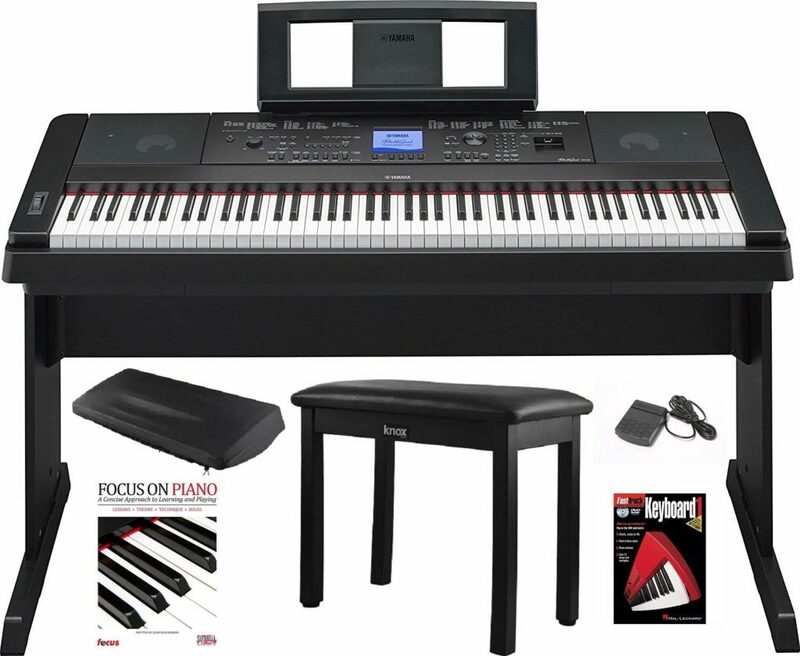 Of course, even after considering our essential factors outlined above, you will likely still be left with a wide choice of home digital pianos to choose from. 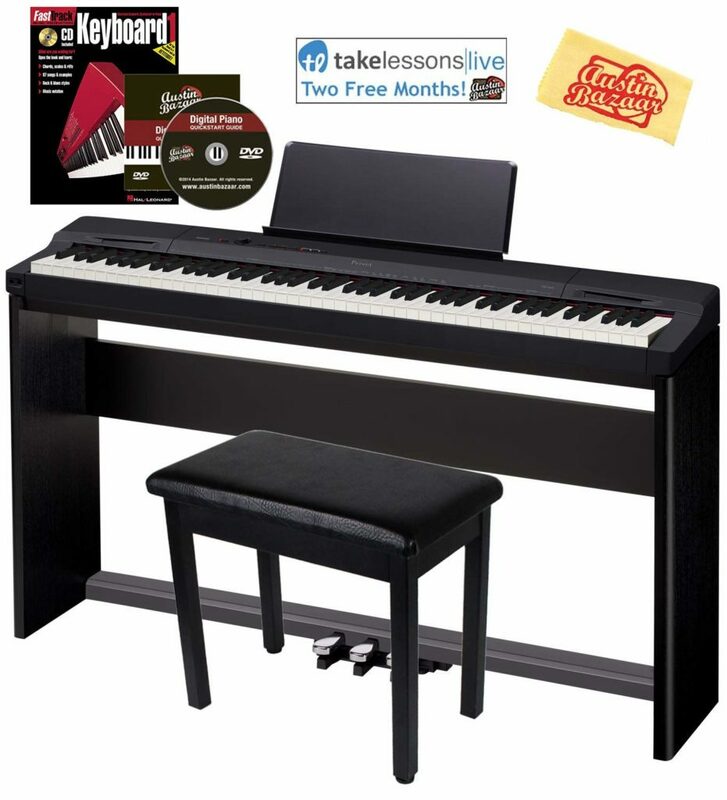 The digital piano market is very good and offers an excellent selection of models which can suit every musician from the absolute beginner to those who have been playing for many decades. So how can you make your final choice? After taking into account advice from an expert, ensuring that you choose within your budget, making sure you fully understand the key types and, of course, measuring up your home first to be sure you have the right space for your new instrument, it may be time to listen to your musical gut. You are going to be spending a lot of time in front of your new digital piano, (or at least we hope you are going to be!) so making the right choice is crucial. As well as that, you don’t need us to tell you that a piano is no small investment, for most of us the price of a piano is a serious chunk from our bank balance. This means you want to be sure that you can really fall in love with your instrument. Is the potential to be head over heels for your piano all about the functions and features? Certainly, they do have a key role to play, an instrument which is of poor quality or lacks the ‘real sound’ of a piano is likely to be you rather quickly, especially as you progress in your musical jounrey. However, not al the magic is in what you find written down on paper. Remember, music is a gift and a very precious one at that. Music is one of those things that is hard to describe in words. Why it can capture our emotions, heal our hearts, evoke happiness and even bring a tear to our eyes. Something as powerful as this is about a whole lot more than functions and features. So when it comes to choosing the best digital piano for you and your needs, you really do need to listen to your musical gut. Take the time to either play or listen to a large variety of digital pianos. However, be sure the ones you choose are in your set budget. The last thing we want you to do is to fall in love with a digital piano that you can never actually have; now that would just be torture. As you compare each of these choices either by playing them if you have the opportunity or by listening to them being played, listen to that inner voice inside of you. Which instrument excited you? Which one seems to be able to transport you to another time or place in an instant? It’s possible that you will be able to pick up on the instrument that has truly been made and designed by a passion for music. Surely, it is this type of instrument that you want to bring home and call your own. We know that purchasing a digital piano is no small decision and that is why we want you to get it right. What factors do you need to take into consideration to help you on your quest? Firstly, take the time to think about your home and where you would plan to have your piano. This will help you to understand any space restrictions you have which could have an influence on pianos which would be suitable for you. Next, set yourself a realistic budget and make sure that you are determined to stick to it. Remember, pianos come at a wide variety of prices and you are sure to be able to find something which you can afford. Next up, get to know the key types of digital pianos and if you have the chance to try out a few models yourself. This will help you to determine which would best suit your needs. You may also benefit from talking to an expert about the various key types and which ones are best for your current position on your musical journey. Finally, do not forget to listen to your musical gut instinct. That little inner voice is often able to pick up on things much more quickly than we can. In fact, if we didn’t listen to it, by the time we caught up ourselves we could have already made the wrong choice. Choose an instrument that makes you fall in love with music and everything that it embraces. It is with such an instrument that you truly have the potential to become a pianist who can reach for the stars!